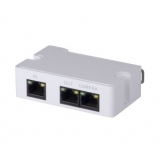 PoE switches are network switches or hubs that not only transmit network data, but also supply power to connected devices. 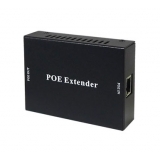 PoE stands for Power over Ethernet. There are two standards for PoE, i.e. 802.3af (PoE) which provides 15.4 watts of power, and 802.3at (PoE+) which provides 25.5 watts. 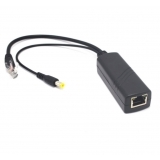 IP Cameras that are Power over Ethernet enabled can be connected to any of the PoE Network Switches listed below to power the cameras and transmit Ethernet data over a single CAT5e or CAT6 network cable. 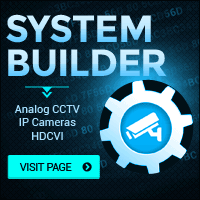 This allows easy integration of surveillance network cameras to a existing network and connection to a NVR recorder. We suggest using high quality solid copper CAT5e wire for use with PoE cameras to ensure there is no significant power drop. Depending on the power consumption of the cameras, it is possible to run up to 328ft from the PoE switch to the camera. 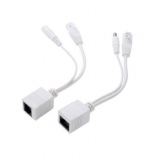 For longer distances, a PoE extender is required.